Negotiations are currently underway between Chadian government and Dubai-based energy developer AMEA Power for the construction of a 120 MW solar plant near the capital N’Djamena. A Memorandum of Understanding (MoU) on the project was signed between AMEA Power and the government of Chad, local media reported. 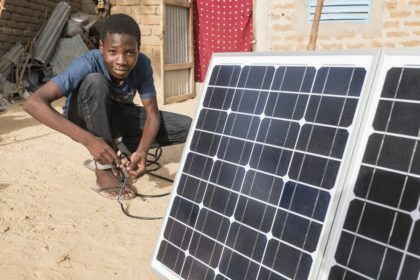 Chadian authorities have announced that the project that will strengthen the national electricity grid will be implemented in two phases and will provide electricity to state-owned utility Societe Nationale d’Électricite (SNE), the media said. Last year, UAE-based Almaden Emirates Fortune Power signed off on an agreement with the Chadian government to develop a PV project with a generation capacity of 200 to 400MW. The same year, a consortium including InfraCo Africa and Smart Energies International signed a 25-year power purchase agreement (PPA) with the Chadian SNE for a 60 MW solar project. The Central African nation has turned to independent power producers to address a national power deficit and poor electrification rate. The landlocked nation currently has a power output of 125 MW, which allows it to supply only 9.4% of its 14.4 million citizens. The two projected solar facilities would more than triple Chad’s generation capacity.